Agua de Colonia Concentrada Barberia Eau de Cologne is a fresh and elegant masculine fragrance which is suitable for men of all ages. Modern, contemporary and seductive. Citrus top notes of bergamot, lemon, bitter orange and ginger with an eastern labdanum, rhubarb and coriander, blended perfectly with notes of cedarwood and sandalwood. Complex and masculine. Agua de Colonia Concentrada Barberia cologne provides a lasting but subtle scent on the skin. This is a classic continental men's cologne. 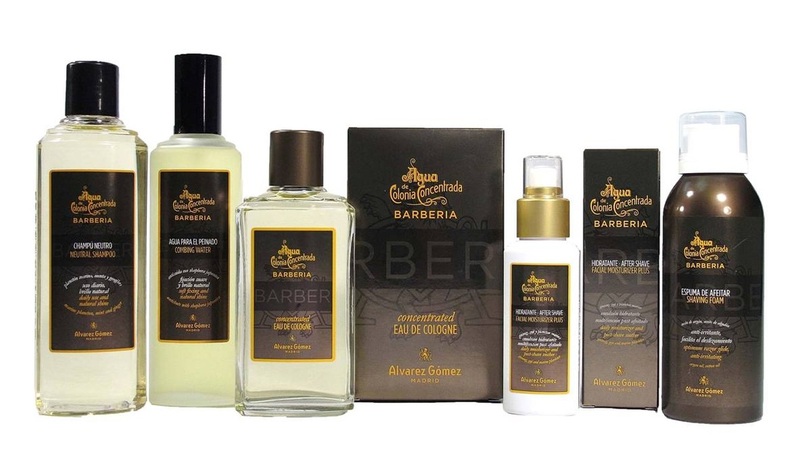 New line of men's care elaborated by Álvarez Gómez, Agua de Colonia Concentrada Barbería. They smell very well, have a background of classic citrus aroma but with masculine wood aromas as mediterranean cypress. Perfectly balanced between classic and modern, created in response to the growing trends in usage and loyalty to the traditional fragrance among male consumers who are also demanding specific items to satisfy their daily needs in skin and hair care, expressly highlighting shaving and after-shave products.